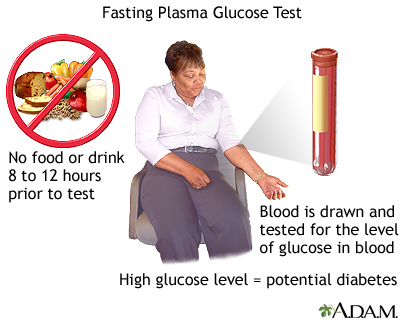 The fasting glucose tolerance test is the simplest and fastest way to measure blood glucose and diagnose diabetes. Fasting means that you have had nothing to eat or drink (except water) for 8 to 12 hours before the test. You are diagnosed with diabetes if your blood glucose level is 126 mg/dl or greater on two separate tests.